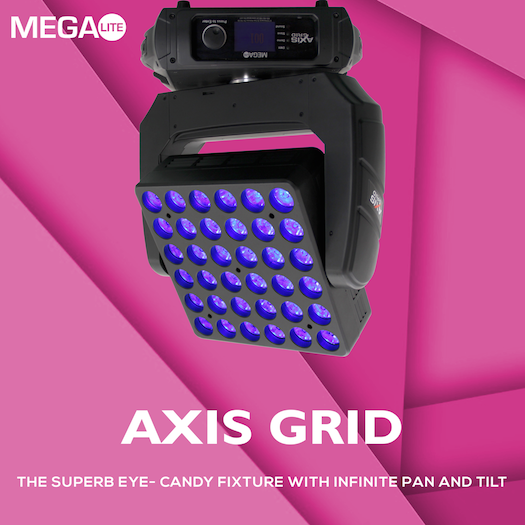 The Axis Grid is a superb eye-candy fixture with infinite pan and tilt. 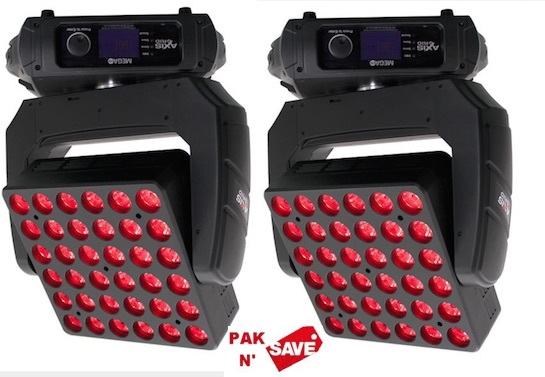 This moving head has 36 LEDs arranged in a grid capable of pixel control for displaying letters, numbers, and shapes. And, the unit’s 10-watt RGBW LEDs create a colorful, punchy beam. 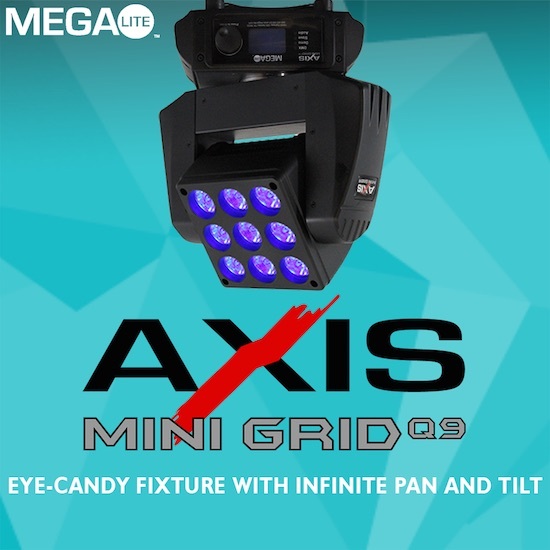 The Axis Grid features both infinite pan and tilt, making it a more dynamic moving head fixture. 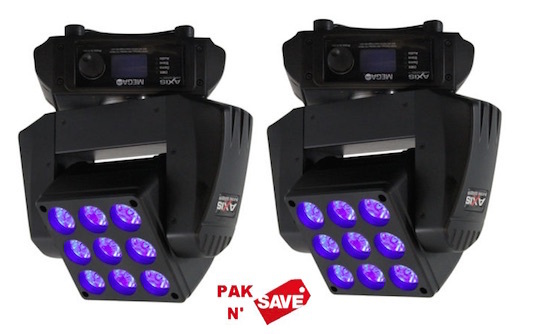 The Axis Grid is controlled via DMX 512 or ArtNet and has a macro channel featuring pre-programmed letters and numbers. It has both 3-pin and 5-pin XLR, ArtNet in and out and PowerCon type in and out connectors. An LED display allows for simple addressing and on-board control. Rigging is made fast and easy thanks to the unit’s two quick release clamps mounts. DIMENSIONS(LxWxH): 17.88" x 11.12" x 21"